Drug addiction threatens the lives of thousands of Americans every year. Many people put off getting the help they need to beat addiction because they don’t want their family members to know, fear losing their job, or are concerned about legal problems that could arise. Whatever reason he or she uses, the addict that doesn’t get help will eventually suffer mental and physical health problems as a direct result of drug abuse. To find more outpatient locations in Florida, click here. Outpatient treatment programs make it possible for people suffering from addiction to get help while retaining their privacy and going to work every day. An outpatient program also works well for students. The flexibility of the programs offered at WhiteSands’ Palm Coast outpatient facility works around the patient’s schedule to accommodate their time restrictions. Individuals who have completed an inpatient rehab program like the ongoing support they can receive from the Palm Coast location. Group meetings and therapy sessions strengthen the resolve to remain drug-free as well as supporting the effort to avoid relapse. It’s very beneficial for a person to be able to live at home, interact with family and friends, continues supporting his or her family, and live a normal lifestyle while going through treatment and rehab. Education is an important part of the program as is therapy and the building of a strong support network. 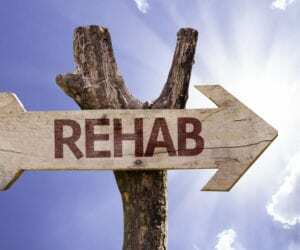 If you or a family member have recognized you are in danger of becoming seriously addicted and are dedicated and committed to taking back control of your life, Call the Palm Coast outpatient rehab center at (877) 855-3470 and speak to a rehab specialist who can help you arrange a treatment program schedule. The treatment programs offered by WhiteSands’ Palm Coast outpatient drug rehab center are the same quality and level of car as their inpatient services provide. Individual therapy, individual counseling, group intensive outpatient therapy, group intensive outpatient counseling, treatment plans for drug and alcohol addiction, and treatment for co-occurring disorders are part of the core program offered. Individuals in outpatient treatment have opportunities every day to put what is learned into practice. Recognizing triggers and learning to avoid them is very important to preventing relapse. Triggers can be places, smells, and even people. Many times it’s necessary to unfriend those people that have no interest in supporting your recovery and sobriety, even if they are family members. Patient’s learn to build a strong support network that includes counselors, new friends from group therapy, family members, friends and coworkers who support their recovery, and rehab and therapy professionals. Patients who attend church will also find support in their congregation. What do programs for drug addicts accomplish? Anyone suffering from a drug addiction needs to understand why in order to overcome it. Counseling and therapy sessions help the addict explore the things that brought him or her to where they are now. Tracing back to the cause of the addiction. The cause must be treated in order to prevent relapse later. People in rehab also learn about drugs, how they affect the mind and body, and what the end result is for those who don’t get rid of addiction. The stark reality is an overdose death for many drug users. You or your loved one can stop addiction in its tracks with the help of the caring staff at WhiteSands’ Palm Coast outpatient treatment center. Call them at (877) 855-3470, make an appointment, and put your life back on the road to success. ← Am I Becoming Addicted to Drugs or Alcohol?